Estimate Expectations - Model A Garage, Inc. When it comes to having an old car or truck restored by a professional shop, always expect the unexpected. 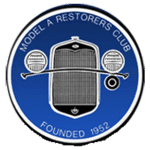 This isn’t a criticism aimed at restoration shops; it’s virtually impossible for the restorer to know ahead of time the condition of every single part on the vehicle. You can’t expect a shop to give you a set price on restoration work. A generous price quote range is one thing, but a firm, set price is just not practical. Keep in mind that restorers don’t possess X-ray vision like superman had that will allow them to see the condition of the sheet-metal beneath all those layers of paint. They can’t see any previous expert body repairs unless that paint is removed. They can’t see the rust on the floor pan unless the carpeting is lifted up. They can’t see the condition of the crankshaft bearings unless the engine is disassembled. They can’t see how much rust is on the underside of the roof unless the headliner is taken down. There are hundreds of unforeseen existing circumstances that lie waiting to be uncovered, which is why you can’t expect a shop owner to give you a set estimate on work that he doesn’t know he may have to do. After all, if your employer told you that working overtime was mandatory but you wouldn’t get paid, would you want to work all those extra hours? Of course not; so neither should a restorer be expected to labor on a car an extra 40 hours without getting paid just because he didn’t know that the inner rocker panels were completely rusted through. No one can judge the amount of rust and body repair that might be required without disassembling the entire vehicle and inspecting every square inch of it. This is why those restorers who do operate with pre-set estimates will still include a clause in their contracts that states an additional charge will be incurred if extra work is required. To better understand how the restoration process works, just forget for a moment that you are dealing with old cars, and compare it instead to those businesses that also rely solely on a skilled workforce to manufacture a finely finished product, such as a furniture maker, custom dress manufacture or restorer of century-old Victorian homes. All these businesses rely on extensive use of hand labor, and each part they make, carve, stitch, paint or assemble is done differently from the next. By understanding the construction process that a shop proprietor has to deal with, you will be better able to comprehend why he has to charge for each of those tasks. To obtain the best quality restoration work, always deal with shops that specialize in your particular car make and/or model. No restorer should be expected to know everything there is to know about many different types of cars and their parts, nor can he successfully solve all the inherent problems that are characteristic to each individual make of car. Keep in mind that if they have never worked on your type of vehicle before, your car or truck may be the experimental vehicle they are looking for to learn on. Dealing with non-specialists will result in higher restoration costs because those restorers will take longer to do certain jobs due to their unfamiliarity with that particular car. When you are being billed for every hour that your car is being worked on, every minute counts. Specialized restorers who have extensive experience with a particular model already know exactly how many hours of labor it will take them to disassemble that vehicle, restore its frame and rebuild the engine and suspension. 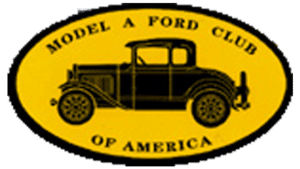 This will allow them to charge a flat rate for each of those jobs because the work really doesn’t vary much from car to car, no matter if it’s a 1965 Mustang coupe or a 1966 Mustang 2+2. However, when dealing with hidden problems that lie beneath the paint, if extra repair work is necessary, then expect to be charged at the hourly rate. Remember, because no two cars are alike or are in the same condition when their restorations begin, it would be unjust for you to compare your estimate with that of another vehicle. 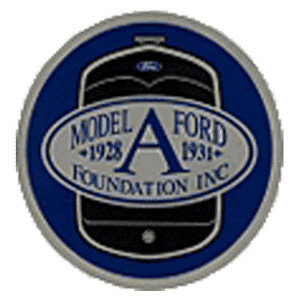 Each restoration is unique; thus a program must be outlined that is tailored to the specific requirements of you car and the quality of work you desire.